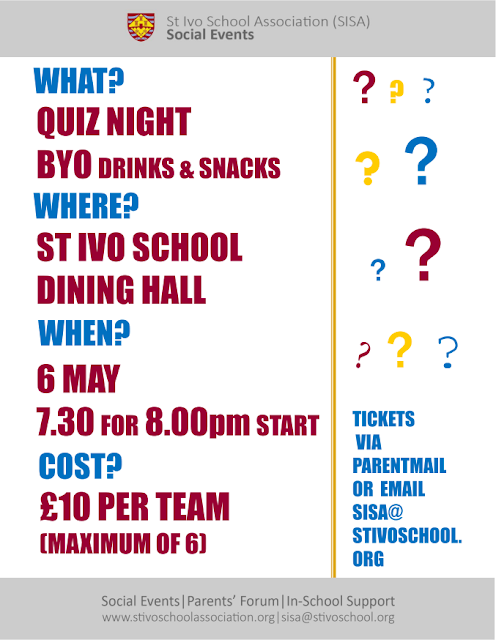 Please come along to the next SISA event: Quiz Night on the 6th May. "The laser is used for the Young's slit practical and for the diffraction of light when showing wave particle duality for the new physics A-level. It is also used to demonstrate total internal reflection in KS3 " - Ed Slingsby Head of Science. It would be great if we could raise this money from one event - please book via parentmail (last page fourth item from the bottom).